The Data Hub is an app that stores Master Data (Product Hierarchy, Customer Hierarchy, etc) that are common across multiple apps. The Data Hub allows you to synchronize master data across apps via pre-built imports and standardize the structure and naming of lists across apps. The Data Hub allows you to track which apps need to be synchronized with the latest version of your lists and data, and provides a global view of the connections between your plans. Using a Data Hub to centralize your data and ensure its consistency across apps is a recommended best practice. 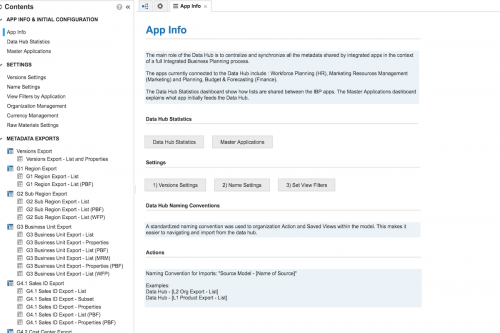 The App Info Page explains the purpose of the Data Hub and provides some explanation of the key features of the Data Hub. 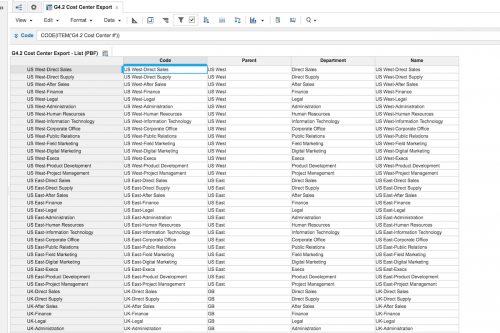 The Cost Center export is an example of a list that can be synchronized from the Data Hub to the Connected apps. 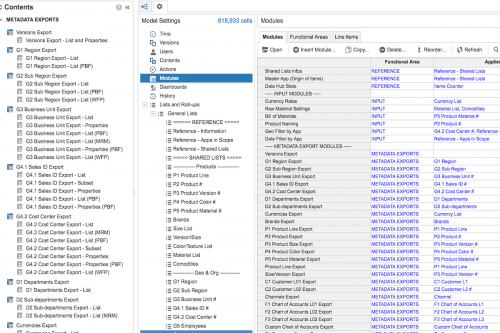 The Data Hub is composed of metadata exports that enable you to synchronize lists in connected apps. 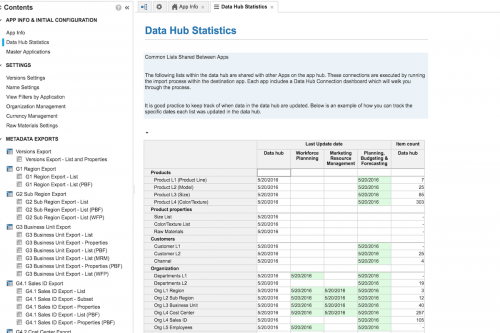 The Data Hub Statistics dashboard indicates which lists are shared across which connected apps, and the last update date (the last date a list import was run to synchronize the list). 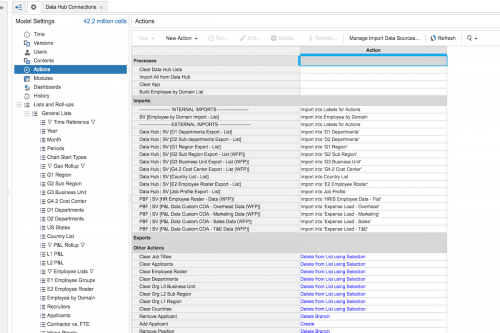 The Data Hub enables you to synchronize lists through imports that are listed in the Actions screen.